Hayfield Parish Council has declared a climate emergency. The authority is now one of dozens around the country to adopt such a motion. 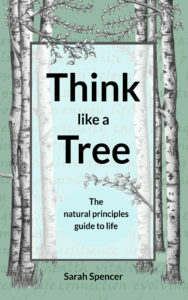 Sarah Spencer, a Derbyshire resident, is publishing a practical personal development book called Think Like a Tree: the natural principles guide to life, which includes discussion of climate change solutions. Published on 1st May, the book aims to reveal the underlying principles of nature’s secrets of success by drawing on woodland examples from around the globe. Sarah lives with her family on a smallholding in the National Forest in Derbyshire. She turned to the principles she observed around her in nature when she was suffering from a rare chronic illness to actively design her way back to health. She now shares her insights to help others via Think like a Tree workshops for adults and children. Our latest newsletter, packed with all the latest on local action and news on climate change is ready for you to read. 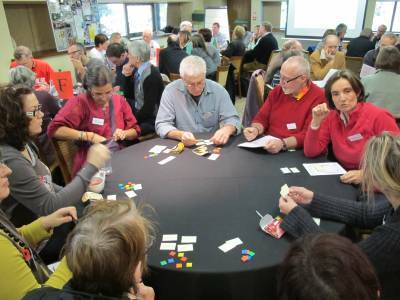 An opportunity for community groups in Derbyshire, Derby, Nottingham & Nottinghamshire focused on tackling climate change and other environmental problems to meet to share their projects, successes, struggles and ideas. There will also be a workshop which will provide a space in which to reflect on how your group and members are doing and how you can give yourselves the best chance of being a group that endures and thrives. Both events will begin with a bring and share lunch - please bring something to share (let us know if you have any dietary requirements). It is helpful if you can indicate you are attending either via the Facebook event or by emailing Caroline Harmon: caroline.harmon@mea.org.uk, although you are also welcome to just turn up.